"This is a very special album." Sometimes even hyperbole is insufficient to describe certain experiences in life. Surinder Sandhu’s third album, “The Fictionist”, falls into that category: impossible to define, difficult to even fully comprehend it. Maybe this is a good thing since the listener is forced to come to terms with the music with no safety net. This is a very special album. 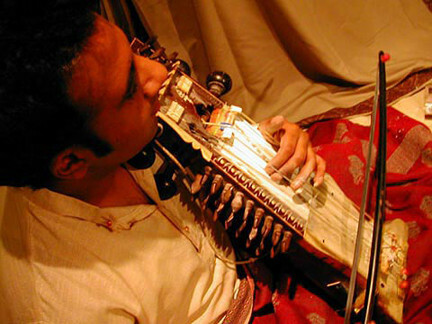 Surinder Sandhu is a composer, a bandleader and one of the few masters of the rarely heard Indian instrument, the sarangi. 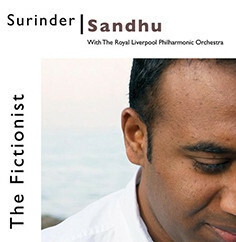 For this third album Sandhu goes back into the recording studio with the Royal Liverpool Philharmonic and then takes the sumptuous result and proceeds to layer, twist, bash, graft, glue, bolt-on, surgically insert and at times even stab other musical elements from widely disparate genres into the work. The result is quite extraordinary. It’s like having audio-widescreen in your head. Surinder’s approach to his music is simply epic. Epic in concept, in vision, in scope, in its inclusivity, in its execution. Even more extraordinary is that Surinder does not put himself centre stage at all in the music; this is not a CD of virtuoso sarangi exhibitionism with polite accompaniment. The musicians who seem to flock to work with him are all masters in their own right; Surinder works by allowing others to breathe. It’s almost as if he sits somewhere just in the background of the sonic landscape, like a still point, the point of perspective in a picture; in the foreground is a wealth of brilliant musicians taking centre stage, getting all the best lines, acting out the stories, being seen, performing their hearts out. But always, somewhere, there’s Surinder, sitting cross-legged with his beautiful sarangi cradled in his lap, viewing his creation, action through inaction, movement through stillness. His musical vision just blows me away. The music ranges from quiet, meditative pieces, through emotional paeans, to raging passions, seemingly running through Classical Asian, Classical African, and Classical Western traditions to Rock and Jazz. It’s quite indefinable. 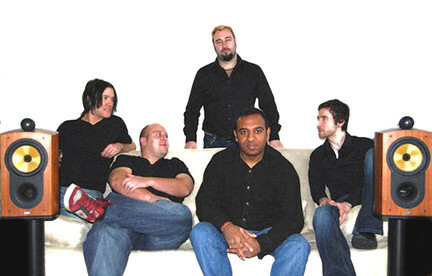 Besides the Royal Liverpool Philharmonic Orchestra and Surinder’s own tight band (Miles Levin, Chris ‘Beebe’ Aldridge, Dave Clarke, Pete Brown) there are contributions from the likes of trombonist Dennis Rollins, trumpeter Bryan Corbett, kora maestro Tunde Jegede, the choirs Black Voices and Sense of Sound, guitarist Dave Lowe, pianist Levi French and tabla player Kousic Sen to name but a few out of so many . . . plus the inclusion of bamboo flutes, sarode, accordion, djembe, flugelhorn . . . Such was the absorption of the players that many parts were recorded in just one take. Musicians willingly put themselves out to come and play with Sandhu; it’s the taking part, the adding of the different voices, the coming together, the contributing, the making of music. Always the music. “I’d rather you didn’t like it, than be indifferent. If you dislike it then, fair enough; but one day you might return to try again and that time it might be different”. Like a good book, this is an album to come back to again and again. This is one to treasure for a long time to come . . .
It’s a slightly strange construction - ten tracks in all, but tracks 4-7 are all part of a symphony in four movements sandwiched between three opening tracks and three closing ones. However Sandhu states in the liner notes that he envisaged the album as “one long tune”. The following notes are only my impressions of the album - you will surely have your own interpretations. When reviewing books or films there often comes a point where the text is emboldened and underlined with the words “PLOT SPOILER - DON’T READ ON IF YOU DON’T WANT TO KNOW THE ENDING!”. If you don’t want my thoughts to influence yours then stop now. Otherwise, these are my impressions . . .
“Avi’s Theme” - If anyone is in any doubt as to the genre-defying scale of this work then the opening track should blow you away in the first few seconds. It opens with a sound and scope the size of a widescreen cinema, as an orchestral tsunami seems to rise out of nowhere and surges over you with a power and an imperiousness that you just don’t expect. 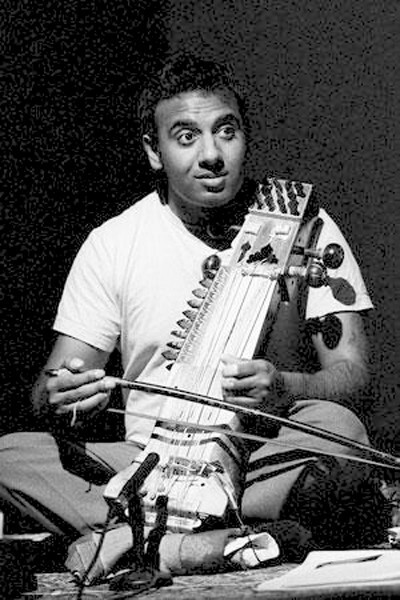 There’s hardly time to take this in when the sarangi enters pulling your heart’s-strings sideways, underpinned by an insistent bass line and immediately followed by layer upon layer of thundering drumkit and tablas, guitars, full orchestra, screaming sax and the piece just jets off sideways. You can only hang onto this dragon’s tail as it flies over the globe gathering up western classical and classical Indian, jazz, flamenco, folk accordion, even echoes of Led Zeppelin in it’s jaws and spews out musical fire. The tension tightens, angst builds up and a welter of emotions pours out from the musicians before it all ends almost chaotically and, funnily enough, very humanly with cheers, laughter and an announcement of “Food will be two minutes!” This is a musical calling-card on a huge scale. It shouldn’t work - but it does! “Inside the Circle” - is the most jazz-inspired piece on the album and features sax, trombone and trumpet and sarangi - sometimes moving as one, other times playing against each other - against Miles Levin’s restless drumkit and Kousic Sen’s tablas. Uncompromising at times, it provides a great foil for the next track. “Until Then” - Is an intoxicating love song sung by Loz Raybone in English and Arijit Datta in Hindi with backing vocals from Black Voices. A crystal bowl of clear water to clear the head and soothe the soul, with a beautiful contribution from Bryan Corbett on flugelhorn. We then go into Sandhu’s Symphony No 1 (“Movement 1: We are here…”) - again fusing standard orchestral instrumentation and traditions with the vast repository of ideas and sounds in Surinder’s head. It acts almost as a prologue to the emotional heartland of the whole album, the early morning mountain range that is Movement 2. “Movement 2: Stillness and Creation” - is as if Aaron Copeland had composed for the Himalayas rather than the Appalachians; there are also hints (to my mind at least) of Keith Emerson’s First Symphony. It is an exquisite piece: the bamboo flutes aching, haunting, eerily beautiful; the kora and guitars rippling and falling over each other; even the dusk and darkness at the end is soft and welcoming. “Movement 3: With New Eyes” - is an awakening of spirits, with Surinder’s gorgeous sarangi, Nirmalaya Dey’s bansuri (bamboo flutes) and Dennis Rollins’s trombone featuring throughout with some great solos. If this wasn’t enough add bass, djembe, tabla, trumpet, piano, guitar, kora, drumkit, orchestra and vocals from Angela Willis and Black Voices (“In search of higher ground” ) all gambolling with vitality and sheer joy and you begin to see life with new eyes. Truly uplifting and celebratory. “Movement 4: No Ordinary Moments” - is a darker, more insistent piece pitting rock drums, bass guitar and electric guitar against the full orchestra. Backing vocals are by Sense of Sound. The piece builds in intensity until the sax ends the symphony on a confident, almost triumphant, note. “Prelude to You” - is an intimate number of subtle tenderness that features the four voices of kora, piano, flute and sarangi. Delicate and endearing it points to the final track. 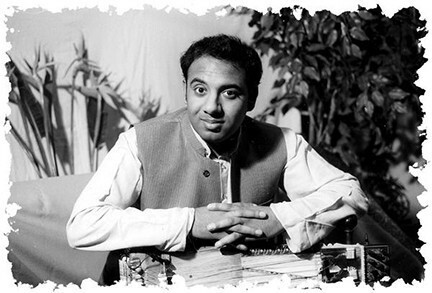 “The River (Life has Now Changed)” - was conceived on the banks of the Ganges and is one of the profoundest and most contemplative pieces on the album, drawing deep from the emotional well to allow the orchestra and Surinder’s sarangi to climb the heights of comprehension and come to terms with the inevitable. My god, but the sarangi was made to be pitted against the might of an orchestra! Ranged against this are the sad but beautiful ripostes of French’s piano, Lowe’s acoustic guitar and the RLPO’s flautist. Penetrating. Deep. “To You (A Mother’s Love)” - Like the journey of life this final piece starts tenderly, almost tentative, but slowly grows in confidence. We stand on our own two feet and play our own themes in homage to those who always had faith in us. A mother’s love is almost universally constant and we rarely express our thanks adequately and sometimes not until it’s too late. This track goes a little way to addressing that. Sublime. Finally, there’s an unnamed musical epilogue (loosely connected to “Until Then”) contained at the end of the last track - just piano and sarangi - the hundred-coloured ‘human’ voice of the Indian musical world. Wistful, delicate, elegant. If you feel at times that rock, jazz and classical musics have little place in ‘world music’, then I beg you: resist the temptation. Open your mind and listen to the album. Just flow with the river on this one. Let it wash over you. It works. It really does. Surinder Sandhu’s “The Fictionist” is an absolute jewel - one to treasure in your collection.